WASHINGTON — When Donald Trump ran for president, most of the Republican Party’s biggest donors sat out, believing he couldn’t win or troubled by what he was saying on the campaign trail. Or both. Now that he’s won there’s a new opportunity for those donors to make up for that lost time: It’s called the inauguration. These quadrennial festivities are always a time for donors to curry favor by giving lavishly, particularly when a new president is being feted. President Obama’s second inaugural essentially allowed unfettered giving, after a $50,000 per person limit in his first. President George W. Bush’s inaugural also accepted sizable checks from supporters. But this time the dynamic is magnified because Trump had so little support from the major players in his party during the primaries and even after he secured the nomination and rolled to an improbable victory. And many on Trump’s forming White House staff come from the political periphery — if they have political experience at all — meaning most Washington power players don’t have the kinds of connections to the Trump world that they would have had if Jeb Bush or Hillary Clinton won. That makes the importance of forging connections even greater. “This year there will be an influx of donors who might not have given to Donald Trump’s presidential campaign giving money to the inaugural, given the surprise of his victory,” said Ryan Williams, a Republican strategist who wasn’t part of the Trump effort. Trump’s team so far has shown a great willingness to accept this “kiss and make up” money and some supporters who labored trying to raise money for the campaign over the past two years are suddenly finding themselves to be very popular. The top package to the Trump inauguration costs $1 million and comes with tickets to nine events over the four-day inaugural period — which is fairly standard, according to several who’ve organized presidential inaugurations. The events include a “leadership” luncheon, billed as an “exclusive event with select Cabinet appointees;” a “ladies luncheon” where participants have “an opportunity to meet the ladies of the first families,” a “candlelight dinner,” where Trump will stop by, and premier access to an inaugural ball, according to a copy of the “underwriter package benefits” obtained by the Globe. Million-dollar donors also receive reservations at “premier inaugural hotels” — but must pay for those rooms on their own. As of last week, the person fund-raising for the Trump committee said $50 million had already been committed toward a goal of about $75 million. To put that in context, Trump’s campaign raised about $250 million for his election efforts over roughly 17 months. Obama raised $43 million for his 2013 inauguration and a record $53 million for his first inauguration in 2009. “The inaugural events are, to a large extent, privately funded so as to not use taxpayer dollars,” said Boris Epshteyn, a spokesman for the Presidential Inaugural Committee. He added that any extra funds that aren’t used will be donated to charitable organizations. The committee, he said, is not accepting donations from state or federal registered lobbyists. Some event ideas surrounding the inauguration have caused embarrassment — an invitation was drafted for an “Opening Day” package of events that included a hunting trip with Trump’s family members and a “camouflage and cufflinks” party. The problem: The tickets, which cost as much as $1 million for the top level, benefit a “conservation” charity that was just set up two weeks ago by friends of Trump’s children. The package was first reported by TMZ, the celebrity website. President-elect Trump’s team played down the event, with spokeswoman Hope Hicks saying the Opening Day package included “merely initial concepts that have not been approved or pursued by the Trump family.”But some version of it is still going forward. Ivanka Trump also attracted a raft of bad headlines after a coffee with her was auctioned off to benefit her brother Eric’s charity. The bidding reached nearly $60,000 for time with Trump’s daughter before The New York Times began calling the campaign, and the venture was subsequently stopped. How important is it for those trying to forge connections in the Trump world to give to the inaugural events? “Now anybody who wasn’t in, they need to find a way in,” said one top Republican fund-raiser who isn’t part of Trump’s team. The signals from Trump and Vice President-elect Mike Pence have been magnanimous — they’ve suggested that they’ll be open to healing the wounds from the primary and general election. But in Trump’s complicated inner circle, it’s not as clear that even a hefty gift to the inauguration will be enough. 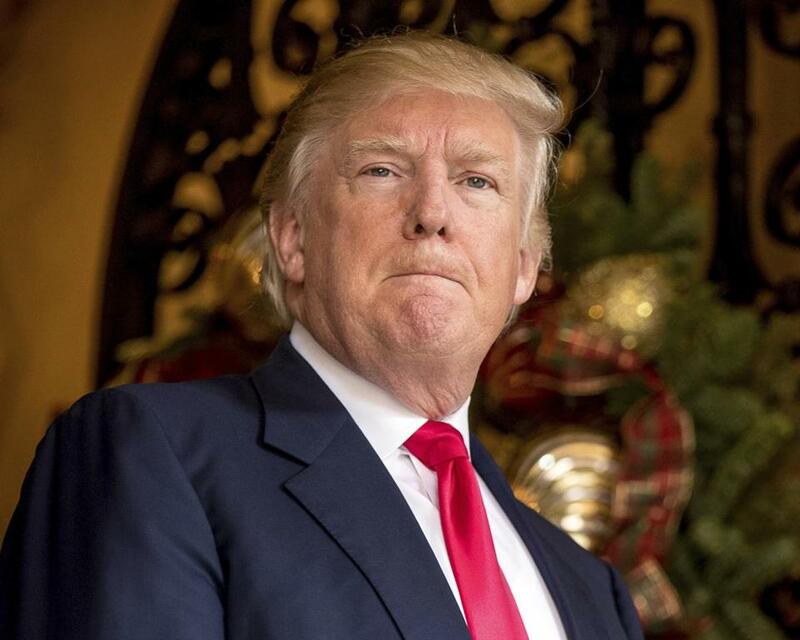 Trump named 20 people to the finance offshoot of his Presidential Inaugural Committee, a group that includes several longtime friends and business associates such as Phil Ruffin, who co-owns the Trump International hotel in Las Vegas. Billionaire backers on the list include casino magnates Steve Wynn and Sheldon and Miriam Adelson. It’s led by Thomas Barrack, a longtime Trump friend based in Los Angeles. One eyebrow-raising pick is Elliott Broidy, who was part of a pay-to-play pension scandal in New York. Broidy pleaded guilty in December 2009to showering New York state officials with nearly $1 million in gifts in order to obtain about $250 million in investments from New York’s pension fund. He cooperated with the investigation and was rewarded with a sentence that didn’t include jail time. Over the summer Broidy was named as vice chairman to Trump’s Victory Fund, a fund-raising arm of the campaign. Trump is hardly the only incoming president to offer incentives and special access to donors around inauguration time, but the new administration is open to much larger donations than the last one. Trump’s Presidential Inaugural Committee is a 501(c)(4) nonprofit, meaning donations aren’t tax deductible. Gifts over $200 will become public within 90 days of the event. Obama limited individual donors to $50,000 apiece and banned any corporate donations for his 2008 inauguration, which came in the midst of a market collapse. “We set a very strict clear line [that] this is about supporting a great historic moment but it is not about buying access,” said Steve Kerrigan, who was the chief of staff to Obama’s 2009 Presidential Inaugural Committee and then the CEO to his 2013 event. Still, Obama’s team loosened the restrictions significantly for his second inauguration, allowing corporate donations and seven-figure checks from individual donors. Lobbyists were banned from giving. “I suppose it is a great way to get back in the good graces, if you are outside the good graces of the president-elect. But there has to be a very fine line drawn,” Kerrigan said. But the political dynamic was very different for Obama when he came into office, because many of the rifts created during the primary contests had already been healed. That meant donors who gave to Clinton during the early phases of the 2008 election had already begun ingratiating themselves to Obama by giving to his campaign. “We had folks who gave a lot to the campaign and the inauguration, who were happy to just have standing tickets to a historic event,” Kerrigan said.